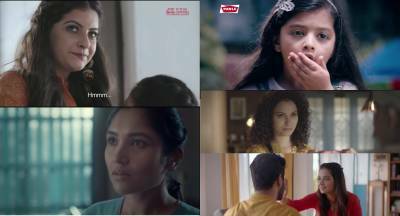 Gits Food, pioneer of instant mixes in the country, is celebrating Raksha Bandhan with its soul-stirring digital campaign. Titled #ThankYouBhaiya, the digital film encourages viewers to express gratitude towards their Bhaiyas - the watchman, liftman and office boy on the occasion of Raksha Bandhan. The insight behind this film is everyone's experience - youth avoiding their crush or not turning up to college during Rakshabandhan. Mochi blends this insight and fact to come up with 'Escape the Bro Zone.' What one wear defines their confidence and Mochi's range of shoes will help you stand out and stay awesome.This campaign by Makani Creatives highlights the unique shoes & the fact of escaping brozone. This Raksha Bandhan Dominos India and WATConsult showcase the ‘brother-sister’ bond in a never seen before way. Titled The Letter, the video highlights extremely relatable nuances which every brother and sister would have gone through and cherish till date. Click here for more Video Exclusive articles.